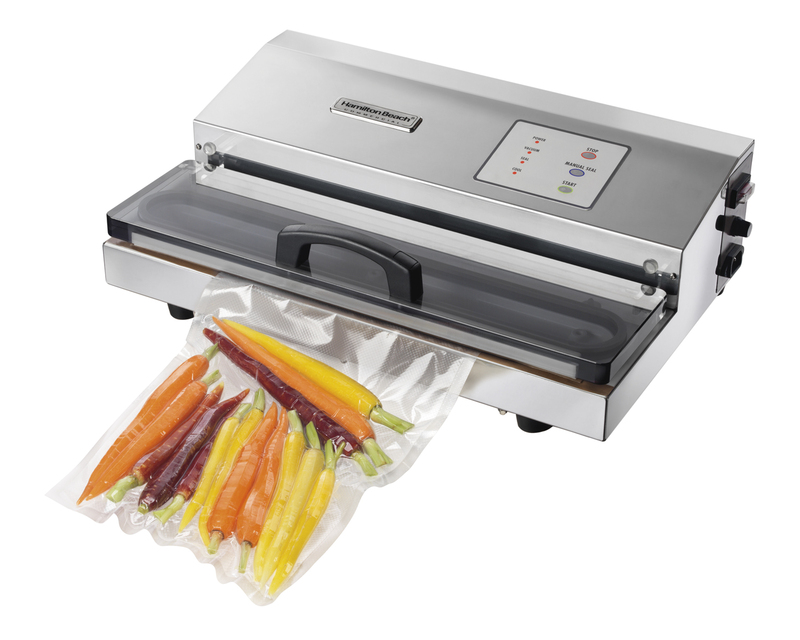 Our out-of-chamber vacuum sealer features a full 16" seal bar, which allows it to seal wider bags and even two bags at once. 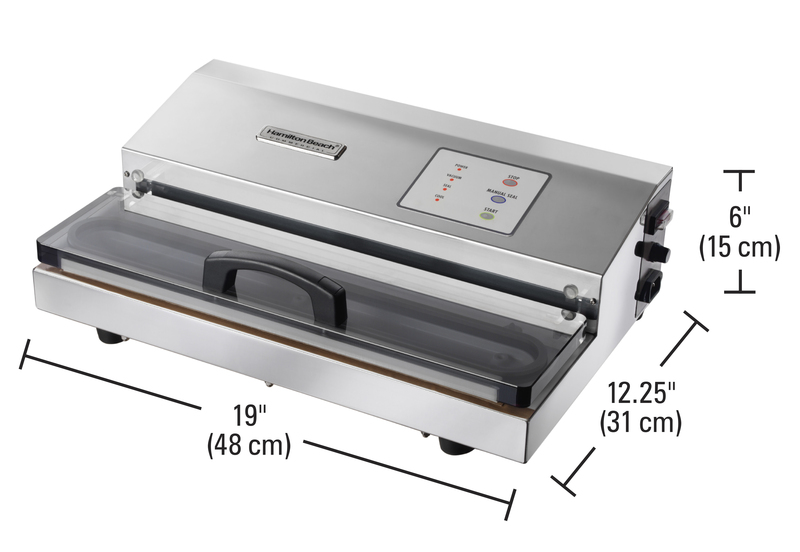 This heavy-duty commercial kitchen machine will work hard for you, without breaking your budget. Small compact size, requiring minimal workspace and portable. 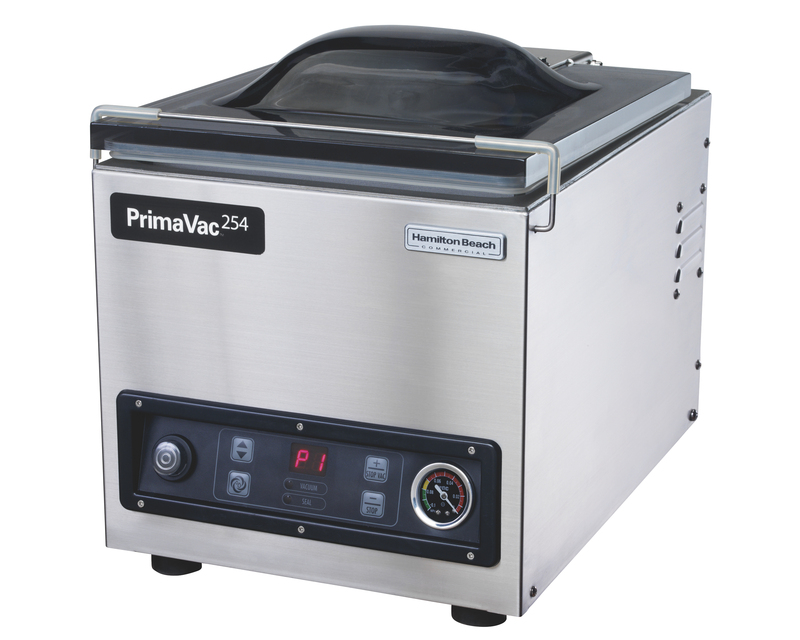 Features a powerful double-piston pump and cooling fan for extended use. 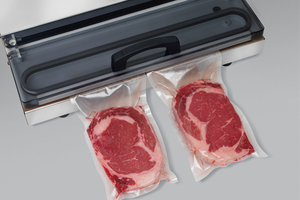 Double your production: seal one 16″ bag or two smaller bags in one vacuum/seal cycle. Also features a wide 5MM seal wire. To facilitate a complete seal for each cycle. Also includes a powerful double-piston pump and fan-cooled motor. 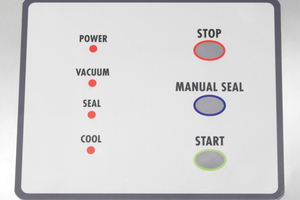 Just press start and the machine automatically sequences from vacuuming to sealing to releasing. LED lights indicate each stage. 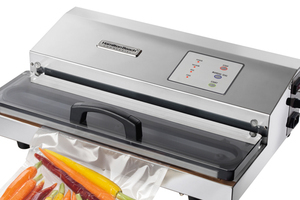 An optional manual mode is perfect for sealing soft foods or for using rolls or bags. Can handle the abuse expected in a commercial kitchen and makes clean up easy. 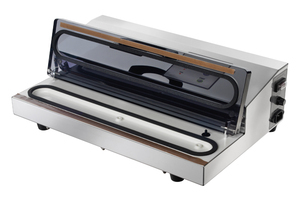 Inside the continental US– This product has a 1 year Express Care Warranty where a replacement unit will be quickly dispatched to your location if needed. To understand how this simple process works, please click here.